This Mac Viva Glam lipstick colour inspired by the one and only Lady Gaga has been around a while now, but I still see people hunting for it on Ebay. I bought this a while back now from Mac and loved using it, so now I have my own blog I wanted to share this beauty with you. 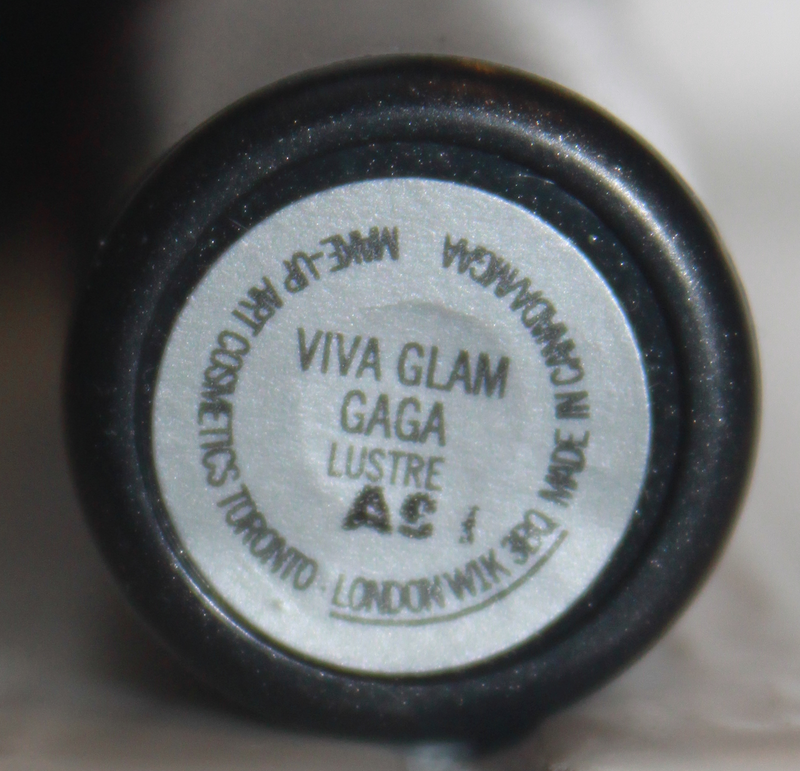 This lipstick has the usual Viva Glam packaging - Gorgeous smooth black shimmery bullet-like case with MAC written in red on the lid and with Lady Gaga's signature on the neck of the lipstick. The lipstick's finish is lustre. The lipstick doesn't have a sheer coverage, but more of a soft creamy look with a sheen that is still buildable to create the subtle or block colour that you want. This colour has the perfect amount of shine that is not too glossy. I love this colour. The powdery pink looks lovely on my pale complexion but still not too pale to drown me out. This is a classic baby pink with a kick. The only thing I had trouble with was my dry lips. I usually like lustre finishes for Mac lipstick as I find that they don't cling to the dry parts of the lips, but I felt that this shade did that slightly, especially with more layers of the lipstick. Another point is that I felt that this was slightly drying on my lips like I find the occasional Mac lipstick to do so and stayed away from wearing this in the cold winter. Now that spring is here however, I think that this will be used a lot! I love wearing pastles in the spring, and this will give the usual pastel pink a twist. Did you buy this when it came out in Mac? I'd also love to know your favourite Mac lipstick shade! 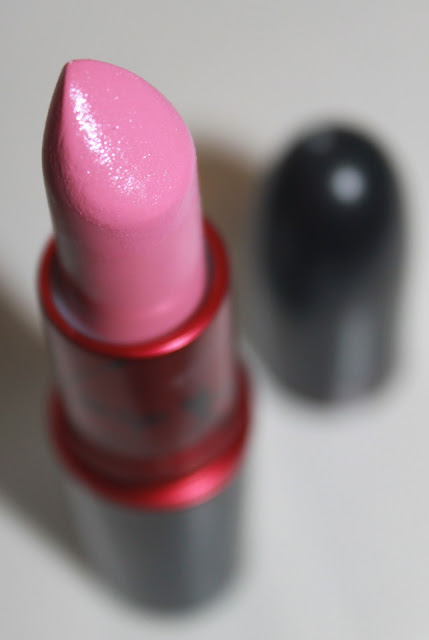 What a gorgeous colour, I'd love to get my hands on a Viva Glam lipstick! I've never tried a lustre finish, I'm more of a matte lady! This is a lovely shade, very 60's retro. I tend to shy away from pinks, would be lovely to see what blush etc you would wear this with. Ah I love it!! I love the Nicki Minaj Viva Glam sticks as well, this is so gorgeous. I need to get my hands on it asap. M.A.C lipsticks just get me mega excited in general! This colour looks gorgeous on you, from what I can see. Such a shame it doesn't suit my skin tone :( Beautyqueenuk nominated us both so thought I would check your blog out! So nice! definitely investing! Glad I found your blog!! Following!